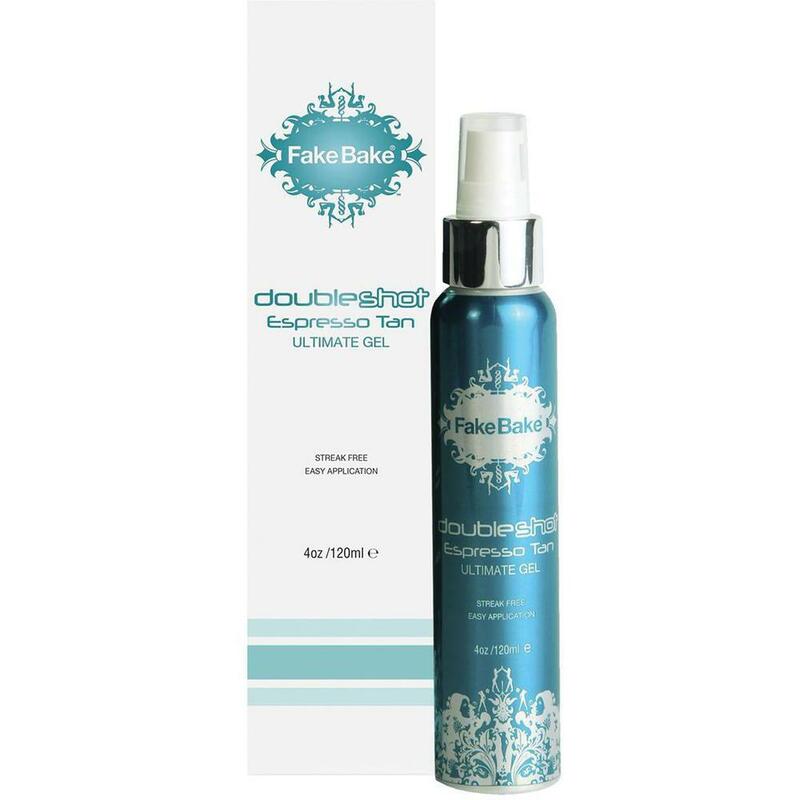 Fake Bake Double Shot Espresso Tan 5.6 oz. ALWAYS WEAR GLOVES TO APLLY. Skin should be clean from all soap residues, creams, oils, perfumes and deodorants which can act as a barrier for the tanning actives. DoubleShot is a very concentrated and only takes a samll amount to cover the area. Lightly glaze over hands and feet. Bend elbows and knees when applying. Night time application is recommended. Best if legt on 4-6 hours after application for maximum penetration and a longer lasting tan. Once tan is developed, rinse off color guide using warm water. Fake Bake's incredible technology promotes an intense Gloden Bronze tan for all skin types. Fast acting and fast drying, this easy application combines top quanity ingrdients with high percentages of several tanning actives to give you a maxinum depth of color. Applicaton is natural looking and streak free. Water, Dihdroxyacetone, SD Alcohol 40-B, Glycerin, Dimethly Isosorbide, Hydroxyethyl Acrylate/Sodium Acryloyidimethyl Taurate Copolymer, Cyclopentasiloxane, REG-40 hydrogenated Castor Oil, Erythrulose, Phenoxyethanol, Fragrance, Dimethicone Crosspolymer, Hydrolyzed Jojoba Esters, Citic Acid, Sorbic Acid Benzoic Acid, Red 40 Yellow 5, Blue 1, Coumarin.